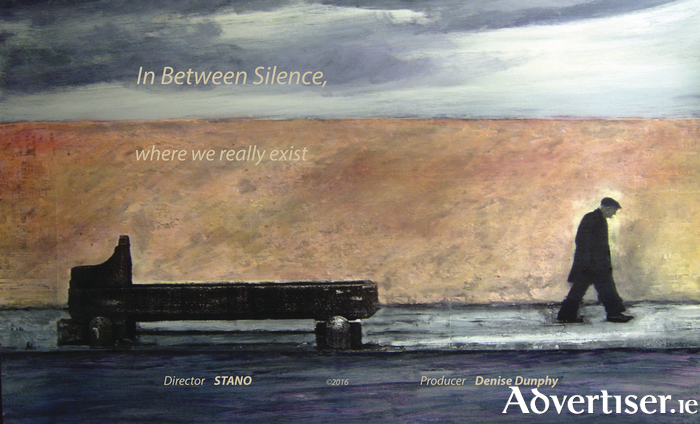 THE GROUNDBREAKING Irish composer Stano, brings his latest work, 'In Between Silence’, described by New York reviewer Rosie Vaughn as “a masterclass in storytelling”, to the Galway International Arts Festival. This event, which takes place in the O’Donoghue Theatre, NUI, Galway, at 5.30pm on Sunday July 23. It will feature a film where people like Roddy Doyle, Anne Enright, Joseph O’Connor, Dermot Bolger, Denise Dunphy, John Minihan, Robert Ballagh, Brian Keenan, Olaf Tyaransen, Barbara O’Shea, and Mick O’Dea, tell personal stories, backed by Stano's music. “I ask each storyteller to relate an event in their life of significance to them," says Stano. "I create a musical composition for each participant in advance of their coming to the studio. I don’t hear the story and the participants don’t hear the composition until they start to record. I want to capture the spontaneous response of each person to the music and the impact it has on their delivery. "What I’m trying to do is underpin the story with an atmosphere, with a mood, because stories are really visual and my background is in manipulating sound and almost doing a soundtrack to a film that doesn’t exist, that’s really what I’m doing. It is harking back to when we sat around the fire telling stories, the crackle of the fire would have been the soundscape, I’m trying to recreate that feeling."